It amazes me how time flies. Make no mistake: it does. This time last year I was busy “predicting” 2017. Since then, I read a fascinating book by author Nassim Nicholas Taleb titled “The Black Swan: The Impact of the Highly Improbable” The book is not new. It was first published in 2007. I have been aware of it for some time now but only this year did I read it from cover to cover. Taleb’s main discussion centers on the effect of “black swan” events—those unexpected occurrences that alter things forever (e.g. 9/11, the rise of the internet, the 1987 market crash, the 2008 financial crisis). Notably, some black swans are bad and some are good. The richer (and in my opinion also hilarious) subtext to his discourse is the reality that despite the expensive suits and fancy resumes of so called “experts” skilled at “forecasting” none of us can really predict anything with the accuracy that we pay and bill for. His basic premise is that we humans are predisposed to “Platonicity” (the desire to cut reality into crisp shapes that we can deal with) which leads to what he terms “epistemic arrogance” and ultimately our susceptibility to black swans. In plain English: we like simplicity but our big egos make us think we know what’s coming next based on what has already occurred when in fact we don’t. I love this because of its brutal honesty. Read the book and you will see what I mean. By the way, his deconstruction of the vaunted “Gaussian” bell curve (and its inherent intellectual fraudulence) is a thing of beauty. So, back to my pre-Black Swan prediction for 2017 (currently serving as a humbling case in point). At the time, the presidential election had just passed and swaths of the nation were in an uproar over Trump’s victory and the means that he and his cronies employed to get him there. Pundits and media types couldn’t get enough of wondering whether “alternate facts” and “fake news” were the new standards for advancing agendas. My “prediction”- almost as if it were a cued counter weight – was that the “truth” was going to make a resurgence in 2017. Huh? Really? Boy was I off (I’m simultaneously tickled and embarrassed as I write this in retrospect). First, how could I make such a prediction without first acknowledging the existential challenge of even clearly defining truth and what it means to be true? What a lightweight. Second, in practical terms, I was wrong. The truth (the “human” version at least) is often far too splintered to be neatly packaged, much less predicted. People believe what they want to believe and every man or woman ultimately rides their own horse when it comes to perception. So, the only thing that made a resurgence in 2017 was that people became more committed to their truth. Period. I probably didn’t see this coming because I was rather naively wed to the notion that there is some overarching principle (conveniently coinciding with my core belief system by the way) that would and should prevail upon the segments of society that do not agree with me. Newsflash: not going to happen. In light of my newfound wisdom, I am opting out of “predicting” 2018. Instead, I am pivoting to a resolution of sorts that I hope you will appreciate: recognize and embrace the value of uncertainty and have the integrity and strength to say that you don’t know for sure what is going to happen next if asked; because in all likelihood you probably don’t. Resist the urge to rely on large scale long term predictions and take things as they come, having faith instead in the notion that the path in front of you will be lit when needed. Be human. 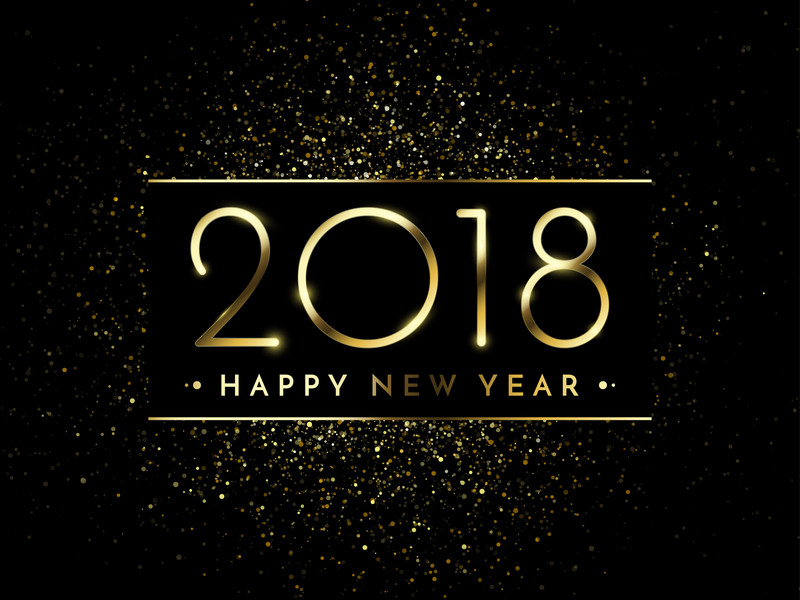 Sigmon Law wishes you a happy and prosperous 2018.